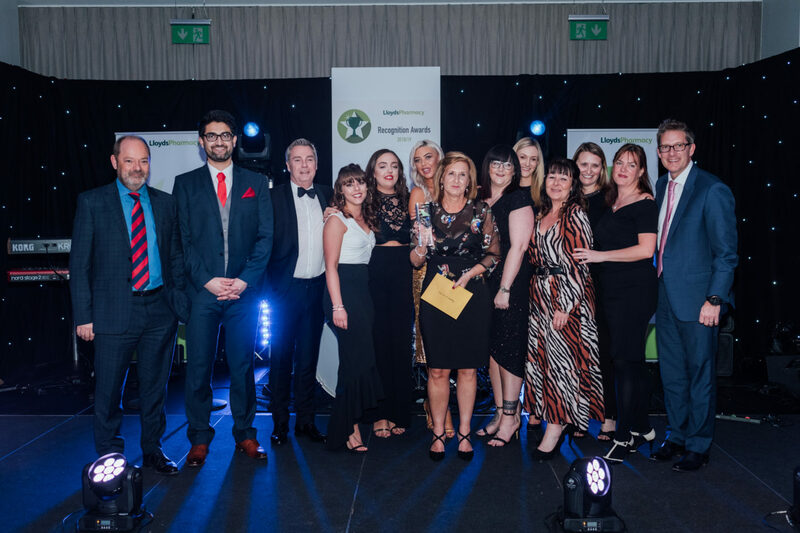 A LloydsPharmacy store from Port Talbot was crowned Pharmacy of the Year at the company’s annual awards event held on Thursday 28 March at the Forest of Arden Hotel, Warwickshire. The award celebrates the best community pharmacy in the LloydsPharmacy network. Over 1500 stores competed for the ‘Pharmacy of the Year’ crown, with three finalists selected to progress to the national final. Stores were selected based on performance, community engagement and customer feedback. Shortlisted pharmacies advanced to a three-stage process to determine the area winner, then regional winner and finally national Pharmacy of the Year. This year marked the start of a special Pharmacy of the Year award. LloydsPharmacy based at the Caludon Centre in Coventry won the national Pharmacy of the Year award for outpatient dispensaries and mental health pharmacies, beating 88 other stores to claim top spot. LloydsPharmacy have over 45 outpatient dispensaries in the hospitals across England and celebrate their ten-year partnership of providing the NHS with outpatient services towards the end of 2019. On the day of the event, the finalists presented to a team of judges, outlining why they believed their pharmacy should be the crowned Pharmacy of the Year. Judges included Nigel Swift plus CEO Toby Anderson and LloydsPharmacy Superintendent Steve Howard. After the presentations, the finalists relaxed with a spa treatment or practised their golf swings on the hotel’s private driving range. All regional runners-up were invited to the awards night as a reward for their hard work and dedication to make it to the regional finals. In addition to being crowned Pharmacy of the Year, the team also received a £2,000 prize. The Port Talbot store is located at Primary Care Resource Centre, Port Talbot, SA12 7BJ.